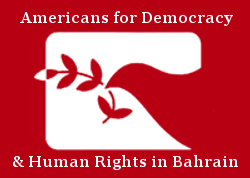 9 October 2014 – The undersigned more than 100 organisations call for the immediate, unconditional release of detained human rights defender Nabeel Rajab, arrested on 1 October 2014 in Bahrain. Rajab was imprisoned several times in the past few years. On 9 July 2012, the 5th Lower Criminal Court sentenced him to three months in prison, in a case that is linked to six tweets he posted on 2 June 2012. He had served almost the full sentence before that conviction was overturned on 23 August 2012. However, on 16 August 2012, the Lower Criminal Court also sentenced Rajab to three years’ imprisonment for “participation in illegal gatherings and calling for a march without prior notification.” That sentence was reduced on 11 December 2012 to two years, and he was released on 24 May 2014. The undersigned organisations consider the detention of Rajab since 1 October to be a clear act of discrimination. Last month, another citizen was accused of a crime under the same article of the law, “offending the army”; however while that person was released within 24 hours, Rajab was denied release, presumably due to his reputation as a well-known human rights defender with a lot of influence on twitter, both locally and internationally.